Medical device manufacturers cannot legally market their products without clearance or approval from the Food and Drug Administration (FDA). Unfortunately, navigating this regulatory jungle can be a bit of a nightmare for those same manufacturers. Quite a bit goes into a successful FDA submission. An important, but often overlooked, aspect of a triumphant submission is human factors validation testing. This is the manufacturer’s opportunity to demonstrate to the FDA that their device is user-friendly, safe, and effective in real-world environments. However, human factors testing is often a new idea for manufacturers and they are not familiar with its details. Below we have described prominent buzzwords in the medical human factors and FDA domains. If you are new to either one of these fields, we hope that you find this list helpful! What is a critical task? Per the FDA Guidance document: a critical task is a user task which, if performed incorrectly or not performed at all, would or could cause serious harm to the patient or user. In this case, harm is defined to include compromised medical care. As you’ll see in the section below, manufacturers typically identify critical tasks using a use-risk analysis or failure mode and effects analysis (FMEA). What is a use error? Does or could result in harm. What is a task analysis? A task analysis in human factors is a process that systematically breaks down the device use process into discrete sequences of tasks. It allows researchers to more fully understand what the user must do to successfully use the product. In this way, task analyses end up providing the groundwork for not only formative and validation studies, but also the root cause analysis and even parts of final reporting on the back end. What is a use-risk analysis? A use-risk analysis is a process which can help identify, analyze, and mitigate risks associated with the use of a device. The process includes identifying potential errors made by the user and the corresponding risk of those errors, which could be anything from no harm at all, to serious injury, or even death. Completing a use-risk analysis is crucial to the designation of critical and non-critical tasks associated with using the device. What is a 510(k) submission? In order to get a device to market, manufacturers have a couple options. Each one approaches from a different angle. A 510(k) submission seeks to demonstrate that the device is “substantially equivalent” to an existing (predicate) device. While the manufacturer draws comparisons between the predicate device(s) and their own, they also must justify why any differences are acceptable. As mentioned above, the goal of a successful 510(k) submission is to demonstrate substantial equivalence to a predicate medical device. Substantial equivalence means that the device in question is as safe and effective as the predicate device. What is a PMA submission? A Premarket Approval (PMA) is another common way for manufacturers to get their medical devices to market. If there is no predicate device (and therefore substantial equivalence is not possible), the submitter must demonstrate that the device is safe and effective from scratch. Naturally, because the submitter is not attempting to establish substantial equivalence, standards for a PMA are considerably more stringent. As a Human Factors Scientist, Anders Orn plans for and conducts observational research at Research Collective. 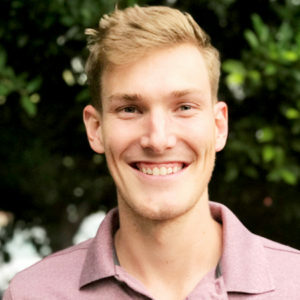 While he is involved in many aspects of research, Anders enjoys in usability testing in the healthcare and automotive industries as they are a unique opportunity to examine human behavior. You can find Anders on LinkedIn here.